Ecological Disaster After Disaster: Is Technology Worth the Price we Pay? Ecological Disaster After Disaster: Is Technology Worth the Price Humans Have to Pay? Who pays the price when technology goes wrong, fails, makes a mistake, malfunctions, or is not developed or utilized properly? The answer is ordinary, everyday humans who work to provide food, clothing and shelter for themselves and their families. The photograph above shows the devastation due to the breach of an iron ore millings dam in Bento Rodrigues, Brazil. That disaster occurred November 5, 2015 when, according to Wikipedia , 60 million cubic meters of iron waste flowed into the Doce River. It’s been called the worst environmental disaster in Brazil’s history, and yet the world seems not to care about it. Eleven people died and 12 went missing. The toxic flow has killed most of the river’s wildlife, probably a source of food for many people. The toxic mud, poisoned with arsenic and mercury, is flowing into the Atlantic Ocean. Humans cannot continue to destroy the Planet’s oceans, as we do, with our technology and irresponsible ways: The Exxon Valdez oil spill from an ocean-going tanker that spilled 11 to 38 million gallons of crude oil into Prince William Sound off Alaska, March 24, 1989 ; the 2010 Gulf of Mexico Deepwater Horizon oil spill that pumped millions of gallons of crude oil, plus the chemical Corexit into the Gulf [3-4]; and then there’s the mother of all ocean disasters—Fukushima —constantly spewing radioactive elements into the Pacific Ocean. In April of 2015, a report claimed that trace amounts of Fukushima radiation had reached America’s western shores . Oil spills raise toxic levels of arsenic in the ocean , and humans eat fish and seafood, especially bottom crawlers like shrimp and lobsters. How can “wild caught” be safe to eat? And then there’s the great plastic island in the Pacific Ocean called the “great Pacific garbage patch.” Some media reports estimate it’s about twice the size of the continental United States . Below is a photograph of a poor turtle caught in a six-pack plastic harness-carrier. Not being able to extricate itself from the plastic noose as a younger turtle, its body and shell grew around it into a most irregular shape. Science, technology, business and industry, governments and ALL humans must realize the impact we are having upon the ability for the Planet to recoup the devastation that our modern, technological lifestyles and sciences have given us and plagued Nature with. What right do we have to do that? Have all our modern inventions really benefited humans and the Planet? We need to change course immediately IF we want to save our “Blue Jewel” orbiting in the Milky Way Galaxy. Going to Mars will be money not well spent because we will do the same damn thing to Mars as we have done to Mother Earth: Trash it! Let’s spend that Mars project money on cleaning up Planet Earth and make Mother Nature proud of all of us who care about her and ALL living things. This video illustrates the extent of some of ecological damage. No one really can understand, nor appreciate, not having unpolluted water to drink; having to flee and/or abandon one’s home; not knowing what’s happened to a loved one until you experience such misery. Look what’s happening to the unfortunate residents of Flint, Michigan: Drinking municipal water contaminated with lead. Nothing, however, can match the scientific chutzpah of weather geoengineering. The ‘raiders of the sky’ probably are the most toxic crew of control-freaks ever to present daily assaults upon the Planet and humankind in the history of the Planet, if not this section of our galaxy. But, then maybe there is something even more sinister: electromagnetic frequency energies as found in microwaves, cell phones and towers, smart meters, Wi-Fi and all the dumb “smart” gadgets we think are so great that track our every move, catalog our actions like some experiment, and EMIT non-ionizing radiation which is causing untold health harms to everyone, especially fetuses and young children. Furthermore, what gives with all the fetal ultrasounds? Are they heating up amniotic fluid, ‘cooking’ brain cells and growing organ tissue? Read this and realize what doctors probably are not telling every pregnant mom. More and more, the Planet—Mother Earth—and we, Earth’s humans, are being damaged to the point where we, her tenants, probably won’t be able to call Earth home for very much longer. Even though all the advances in science, technology and modern living seem like such wonders, we still have to wonder how, and if, we can survive in the 21st century. What a place to find ourselves! as long as you feel good about yourself. Historic Paris Climate Pact Takes Effect Today. Now What? WASHINGTON (Reuters) - The global accord to combat climate change agreed in Paris last year officially entered into force Friday, putting pressure on nearly 200 countries to start executing plans to slash their greenhouse gas emissions. The Paris Agreement seeks to wean the world economy off fossil fuels in the second half of the century, limiting the rise in average world temperatures to “well below” 2.0 degrees Celsius (3.6 Fahrenheit) above preindustrial times. It takes effect as greenhouse gas emissions are projected by 2030 to exceed by 12 billion to 14 billion tonnes what is needed to keep global warming to the internationally agreed target, the United Nations said this week. Representatives from nearly 200 countries on Monday will convene in Marrakesh, Morocco for two weeks to discuss the nuts and bolts of the Paris accord and the policies, technology and finance needed to ensure the Paris goals are achieved. “The timetable is pressing because globally greenhouse gas emissions which drive climate change and its impacts are not yet falling – a fact which the Marrakesh meeting must have at the front of its concerns and collective resolve,” said Espinosa. World Bank President Jim Yong Kim said the milestone also serves as a reminder to rich countries that pledged to help developing countries combat climate change. “Donor countries made a strong commitment in Paris. And now we must turn those commitments into action,” he said. So how fast can Trumpty Dumpty make America air quality as low as China's? BATON ROUGE, La. — President-elect Donald J. Trump on Friday promised that his administration would strip away “job-killing restrictions” on energy production and encourage the construction of refineries in the United States, as he campaigned for Republican candidates in a state heavily dependent on the oil and gas industry. His comments came a day after he had announced his selection of Scott Pruitt, Oklahoma’s attorney general, as administrator of the Environmental Protection Agency. Mr. Pruitt is a staunch ally of the energy industry who has teamed up with companies to undercut the Obama administration’s climate regulations. Mr. Trump pledged to enact a “massive” tax cut for the middle class, roll back Obama-era regulations, pass a $1 trillion infrastructure program and build a wall on the southern border to prioritize American people and jobs. “Our country is being drained — drained of jobs,” Mr. Trump said. Mr. Trump, who has been traveling the country on a thank-you tour reliving his upset victory on election night, took time to gloat over his onetime critics in the Republican Party. Mr. Trump, who often encouraged supporters’ angry chants during the campaign, tried to quiet booing at his mention of President Obama on Friday. 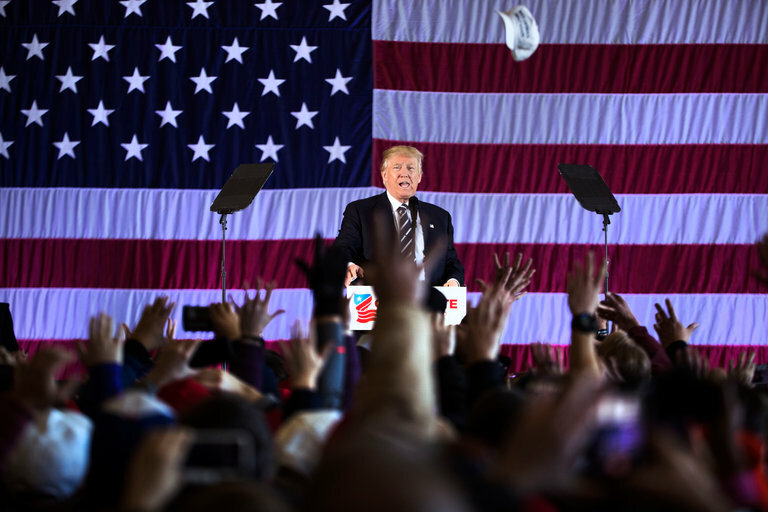 It was the second appearance in a row at which Mr. Trump appeared to attempt to calm, rather than rile up, his audience, a stark departure from his behavior during the race. In Des Moines on Thursday night, as supporters booed and hissed at protesters who had unfurled a banner and were shouting about the Ku Klux Klan and fascism, Mr. Trump said it was “all right” and quickly moved on with his speech. 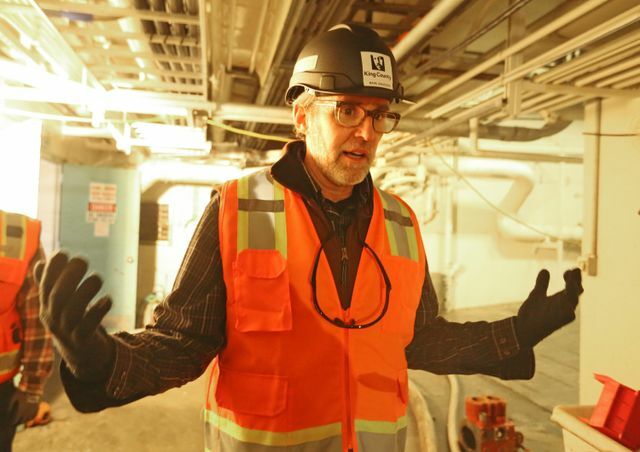 The plant suffered catastrophic damage on Feb. 9 and will not return to regular service for many weeks, according to Mark Isaacson, director of the King County’s wastewater-treatment division. King County has stopped dumping raw sewage into Puget Sound from its crippled West Point treatment plant for now — but the county will likely start dumping again when rainy weather returns. The plant, which treats sewage from 1.7 million people around the Seattle region, suffered catastrophic damage on Feb. 9 and will not resume regular service for many weeks, according to Mark Isaacson, director of the King County’s wastewater-treatment division. Beaches at Discovery Park are closed, with no date yet for reopening, because of the risk to public health from raw sewage pumped from the plant into the Sound. “We are here for the health of the environment, and for public health, and right now, we are compromising that,” said Isaacson. The trouble started when the pump station that sends treated wastewater out of the plant failed, according to a letter from plant managers sent Wednesday to King County’s regulators. Save 75% on digital access today. Staff on duty about 2:15 a.m., Feb. 9, worked to reduce the incoming flow while attempting — unsuccessfully — to restart the 2,250-horsepower motors on the pumps. As water levels in the plant continued to rise, staff next worked to manually intervene to stop pumps bringing more incoming flow. That caused the upstream levels of sewage entering the plant to rise, triggering an emergency bypass gate to automatically open. That diverts raw sewage away from the plant and into an emergency outfall pipe to Puget Sound, as a desperate measure to save the plant. By then the plant was already flooded, with a barrage of some 15 million gallons of water barreling through it, powerful enough to buckle and break down 25-foot-high garage doors, mangle equipment and leave a fur of untreated sewage 12 feet up the walls. Cavernous rooms filled with pumps and other equipment were flooded to the ceiling and steeped in muck. Tens of millions of dollars of equipment, including more than 200 motors and more than 100 electrical panels, were destroyed. An uncounted number of pumps have to be taken apart, cleaned and repaired. Industrial-scale boilers, used in the treatment process, need to be replaced. Since the flood, hazardous-materials crews have been steam-cleaning the plant, and electricians have been working their way, room by room, to make them safe to enter after water swamped the electric circuitry. Next comes the slow process of cleaning and replacement and repair of motors, pumps, and electrical wiring and panels, expected to take many weeks. King County has a $250 million insurance policy that is expected to cover the cost. Isaacson, during a tour of the plant with reporters Thursday afternoon, said the event was catastrophic. It’s so damaging that the plant, which turned 50 years old this year, cannot perform secondary treatment that is required by its wastewater permit. That puts the county out of compliance with state regulators and facing possible fines. The plant normally provides intensive treatment of up to 450 million gallons per day of sewage, wastewater and stormwater. But right now, the plant is limping along at half capacity and is treating stormwater and raw sewage flowing to the plant with primary treatment only. That means solids are screened and settled out, and the rest is disinfected with chlorine, then dechlorinated before discharging the water offshore of the beach at West Point to Puget Sound. Worse, when rain swells the amount of water entering the system because of stormwater from roads, roofs and other hard surfaces, the plant, operating at reduced capacity, bypasses what it can’t shed to other plants for treatment and sends it directly to Puget Sound. Environmentally, untreated flows cause temporarily elevated levels of bacteria in some areas, spot tests by the Wastewater Treatment Division show. 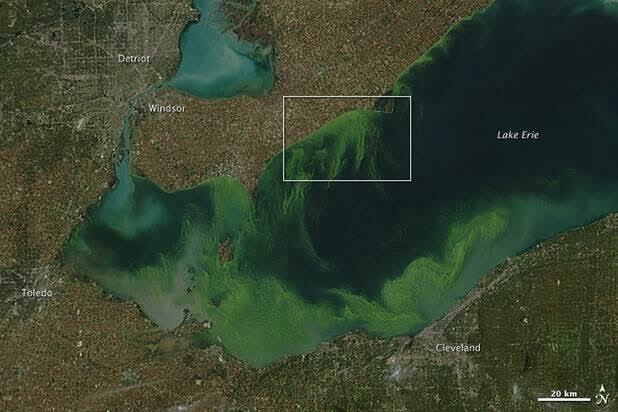 Currents dissipate the pollution. Large amounts of stormwater in the effluent also mean the sewage is greatly diluted. The plant bypassed 260 million gallons of untreated flows to Puget Sound beginning early in the morning Feb. 9 and stopped about 19 hours later, said Doug Williams, spokesman for the county. Dumping of untreated flows began again about 3:30 a.m. Wednesday because of the wet weather and lasted until about 10:30 a.m., spilling an estimated six to 10 more million gallons of untreated effluent into Puget Sound from an emergency overflow pipe 35 feet below the surface, nearly 500 feet offshore. Most of the effluent is stormwater, but about 10 percent is raw sewage. The emergency overflows resumed from 4 p.m. Wednesday and continued overnight until about 6:30 a.m. Thursday, when heavy rain resumed. Totals from that bypass event had not yet been calculated. The county has notified its regulators at the state Department of Ecology and Department of Health of the situation, and has also informed tribes with treaty-fishing rights. The trouble comes just as the region is experiencing record heavy rains that are expected to continue into the middle of next week. That is sure to mean more raw sewage bypassed to Puget Sound. King County operates a far-flung and diverse network of pipes, vaults and treatment plants from large, regional facilities, such as Brightwater and West Point, that collect and treat flows from local sewer agencies to a community septic system on Vashon Island. The county’s Wastewater Treatment Division serves about 1.7 million people within a 424-square-mile service area, which includes most urban areas of King County and parts of south Snohomish County and northeast Pierce County. Good Idea, since the UAE will be uninhabitable inside 20 years. The Emiratis, however, are starting slow, from square one. According to a press release from the government of Dubai, the initial stage of the project will focus on developing the skills and expertise necessary to move forward. This stage will in effect involve a change in the educational system of the emirate, to enable future generations to sprout the engineers who will take the project further. Related: How Long Can The Permian Craze Continue? This small lithium company is on the verge of becoming the next big thing in the resource space. With incredible assets and a management dream team – this company should be on all investors radar. The UAE’s space agency was set up just three years ago and has yet to build sufficient expertise and experience to enable the education of those future engineers we mentioned. SpaceX, on the other hand, has been around for 13 years and is already sending rockets to space and getting them back, too. The company has scheduled its 10th commercial launch for tomorrow, to take supplies and science reports to the International Space Station. Related: Is The Bakken A Bust? A fairly comprehensive list of the Crimes Against Humanity by our Illuminati Overseers. 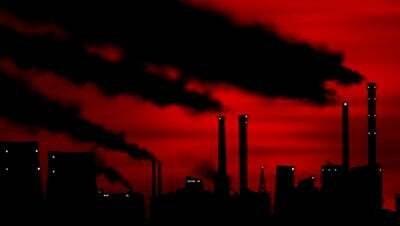 Global Environmental Pollutants: Is Anthropogenic Activity Despoiling the Planet? Incidentally, Minnesota at one time had over 40 SuperFund sites, with 25 remaining on the EPA’s list, including Duluth’s St. Louis River site at the old US Steel Plant, where there are carcinogenic PAHs (Polycyclic aromatic hydrocarbons), carcinogenic VOCs [volatile organic chemicals) , cyanide, naphthalene, and heavy metals - including mercury - in the sludge at the bottom of the river, where US Steel dumped its chemical and metallic refuse. Most of the Minnesota sites are either corporate refuse site, municipal landfill sites or weapons manufacturing sites. All have serious heavy metal and/or carcinogenic contaminants that are poisoning the ground water, soil and even the air. Somehow, I don't think too many lower level apparatchiks in the EPA are going to be cooperating much with their new boss. When people say good things about Trump, I have to think of this bozo, who was obviously chosen because he's (a) in the oil companies' pocket, and (b) a known climate change denier, and (c) a fairly smart lawyer who has a record of winning against environmental interests. He was selected to dismantle environmental protections in the USA.. Period. End of story. Let's see if he does it, or if the entrenched bureaucracy can fight a rear guard action for the next four years as he pursues them and tries to give them all pink slips. On the other hand, the big polluters may have closed down in 4 years time due to general economic collapse, and everyone left alive will be growing local food, so maybe EPA will not be required! The up side of collapse. Never before in the history of the human species has climate set so many spine-chilling new records as last year, 2016. That dire assessment comes via analysis of the World Meteorological Organization’s (“WMO”) annual report d/d March 21, 2017, prompting a thought: Does a wildly out of control climate threaten lifestyle and/or life as we know it? The answer is a resounding yes it does! It’s just a matter of time. Still, nobody knows for certain, meaning 100%, whether an out of control climate is truly life-threatening or not (it is a new experience, so nobody knows what to expect), but on the other hand, who can possibly know for sure until it is way too late. As for example, nobody knows if and/or when runaway global warming kicks into high gear as the result of massive methane eruptions, the Big Burp, across the Arctic’s shallow East Siberian Sea, which is fast losing its protective icy cap, in turn sizzling agriculture as excessive methane in the atmosphere traps heat, which a small core of scientists believes will happen within a decade, taking temperatures up so high so fast as to sear and blacken the landscape. As such and in consideration of the all-powerful rightward shift in U.S. politics, which embraces an off-the-wall oddball denial of science, threatening climate/environmental regulation, analysis, and critical funding, it is imperative to expose the upshot of the impending thrashing of public science institutions by this mean-spirited right wing cabal. That upshot is easily identified as an abrupt end to America’s comfy lifestyle metamorphosing into societal riots in the streets, rampant theft, gang warfare labeled as terrorism, and non-premeditated murder, in certain respects similar to Syria today. Trump has already spotted impending trouble because of an overheated climate. The Middle East is home to 350 million people, more people than the U.S. Trump intends to keep them out of the U.S., as drought has forced massive movement and unrest for years now. The southern Mediterranean coastline and the Middle East are drying up. Look to Europe for the impact. It’s not just Syrians escaping war but middle easterners throughout the region hightailing it out. “The World Resources Institute (WRI) claims water shortages were a key factor in the 2011 Syria civil war. Drought and water shortages in Syria likely contributed to the unrest that stoked the country’s 2011 civil war. Dwindling water resources and chronic mismanagement forced 1.5 million people, primarily farmers and herders, to lose their livelihoods and leave their land, move to urban areas, and magnify Syria’s general destabilization, says the report” (Source: John Vidal, Middle East Faces Water Shortages for the Next 25 Years, Study Says, The Guardian, August 27, 2015). Science is nearly 100% unanimous that anthropogenic (human-influenced) climate change is happening, and it is happening with a swagger; it is ugly and a threat to lifestyles and to life in multiple ways, for example, forcing hundreds of thousands of Middle Easterners to migrate to Europe. The leading indicators of impending climatic trouble are found in reams of data that threaten to turn civilization upside down. Across the board, record-setting climate data has been identified by the World Meteorological Organization Highlights of Global Climate 2016, Geneva, published March 21, 2017: “Climate Breaks Multiple Records in 2016, With Global Impacts,” to wit: (1) Global warming new record; (2) Atmospheric CO2 new record; (3) Global sea-ice drop new record; (4) Global sea level rise new record; (5) Global sea-surface temperatures new record; (7) Arctic sea ice new record low; (5) Severe droughts displace hundreds of thousands; ( 18,000,000 people seek drought-related emergency assistance, and more…. Everything that can go wrong with the climate is happening altogether at the same time, including an overheated overtaxed ocean, exerting maximum stress on the ecosystem, prompting the question of the century: Can our trusty life-supporting biosphere hang in there? (really mouth-dropping) oblivious to the status of the biosphere. Regrettably, this calculated ignorance is fact. Just look at Trump appointments of radical right wing nutcases, and they are truly nutcases that believe a pluralistic society doesn’t work. They are the antithesis of pluralism with a feudalistic bent but yet in charge of a multifaceted complex modern government. Still, they are not stupid, rather smart political operatives that appeal to a right wing mentality that abhors regulation. In point of fact, they, i.e., Trumpeters, are a throw back to America’s frontier spirit as epitomized by Frederick Jackson Turner’s (American historian) “Frontier Thesis” circa 1893, which highlighted “rugged individualism,” as the major mover and shaker of American democracy. For Turner, American democracy was shaped via rejection of highbrow culture (aristocratic stuff), rejection of establishment principles but embracing a brand of violence (six-shooters) unique to survival on the edge of the frontier. Nowadays however, that frontier is gone, and rugged individualism doesn’t square so well within a pluralistic society already jam-packed with multi-ethnicity. Notably, gun toting white guys no longer fit in like they did in the 1800s, but Trump has given ‘em a new lease on life. The Trumpeters say “balderdash,” science is a joke and not to be believed, interestingly enough emulating those same 19th century gun-toting white guys, shoot first, questions later. The proof of their Planet Pluto line of thinking is easily found in the administration’s behavior and policies, cut, cut, cut science and critical thinking arenas, whereas if they truly believed the science, spending for NOAA and EPA and NASA would double or triple as panic sets in, fearing climatic Armageddon. After all, the climate is signaling big time trouble down the road with bells, whistles, and red flashing lights warning of impending crises immediately ahead, right around the bend, a surprise attack. Ad interim, America’s 19th century frontier mentality, which helped to shape democracy in the first place, has come back to overturn democracy and dictate climatic upheaval and destruction with its concomitant sharp turn away from democratic spirits in favor of a return to Gunfight at the O.K. Corral, circa 1881. Everything is parabolic in one direction or another. There is only one side here, it's the side of scientific objectivity. The issue of whether homo sap is worth saving is a separate matter. This video covers it ALL. Prof Veerabhadran Ramanathan, a thoroughly credentialed scientist, was FORCED, after DECADES of a career believing we could "handle" the climate change from homo sap produced greenhouse gases, to alter his view DRASTICALLY because of irrefutable empirical evidence he was observing. That's right, he was collecting the data for DECADES until a pattern emerged that shocked him out of complacency. If you ever plan to watch ANYTHING about Global Warming, THIS is the video to watch over and over. I WISH Palloy would watch it and see every argument he has presented here (that he claims lets fossil fuels off the hook as the main cause) taken apart piece by piece. With unchecked emissions of climate pollutants, there is a 50% probability for the planetary warming to cross the so-called dangerous threshold of 20C by 2050; and there is at least a 5% probability the warming can exceed a catastrophic 60C in about 80 years. For the bottom three billion in rural areas, 20C would be enough to pose existential threats. With a 60C warming accompanied by 10 billion population, loss of bio diversity and species extinction, we should ask: whether civilisation as we know it can be extended beyond this century? Is there still time to avoid such catastrophes? The answer is Yes. But, we need to reinforce the technological and the market-based solutions with societal transformation. An alliance between scientists, policy makers, religious institutions and health care providers has a good chance to bring the needed transformation. Agelbert NOTE: I do not see the proposed "solutions" materializing any time soon. Have a nice day. Yeah, I'm watching it now. Thanks.